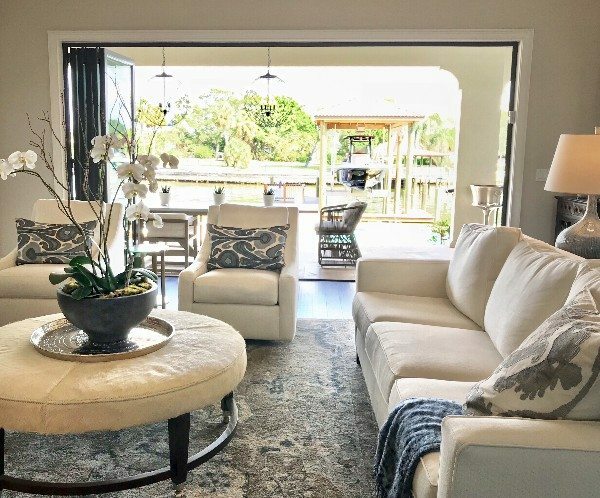 This newly constructed home has waters views from both the front and back of the house. 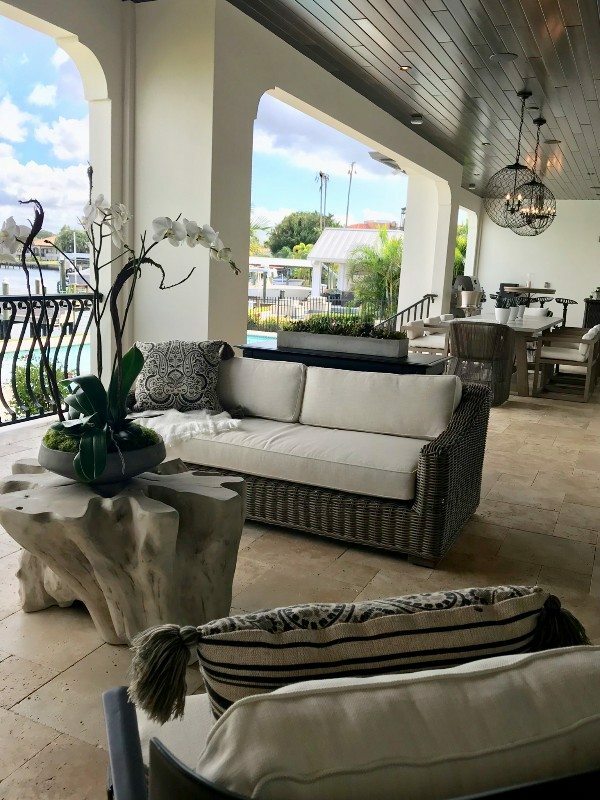 The design was very much inspired by all the water surrounding this home. 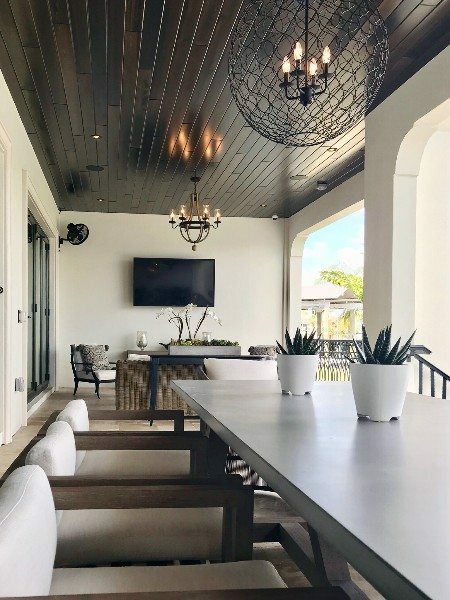 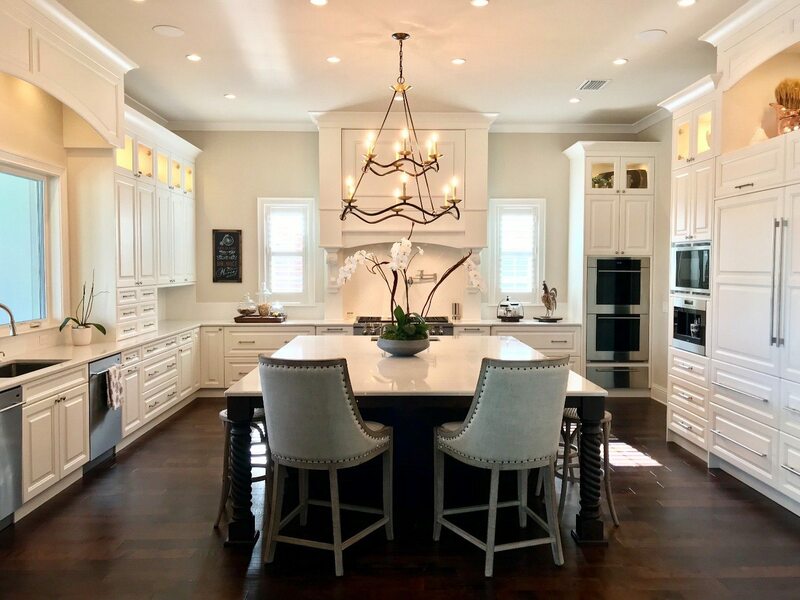 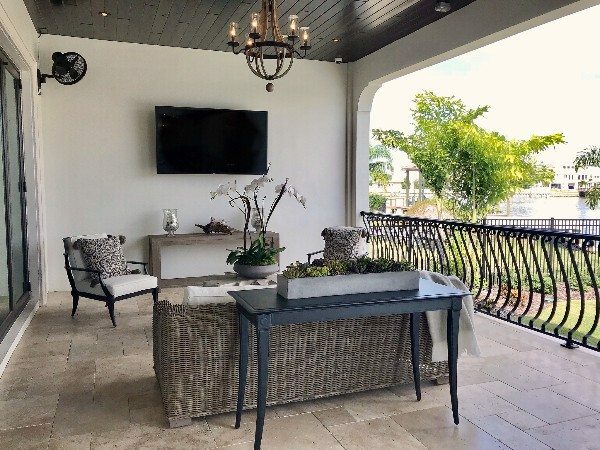 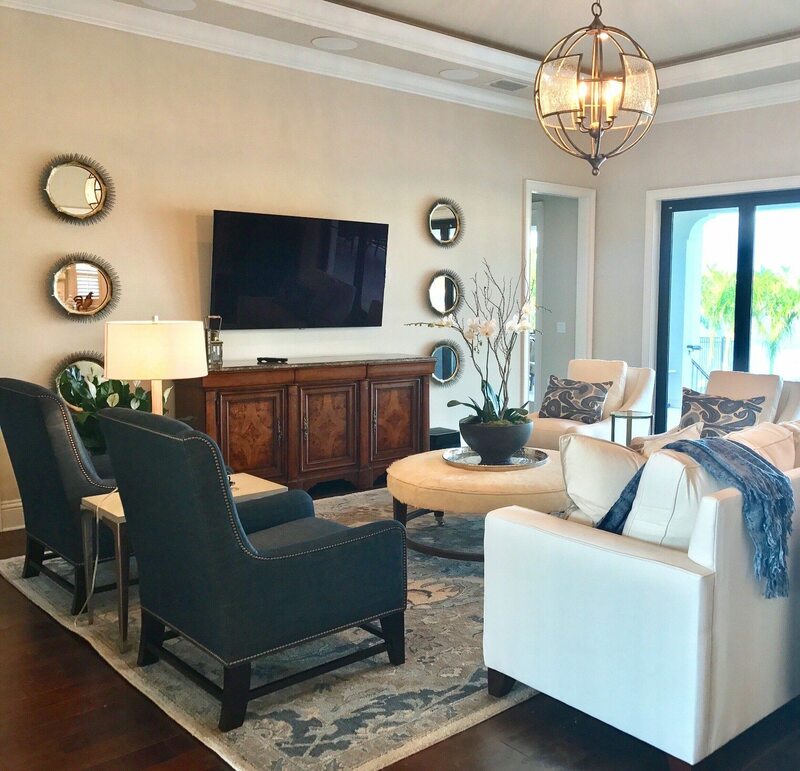 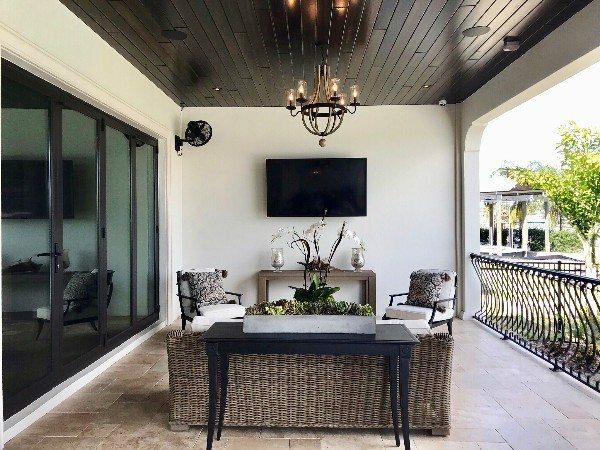 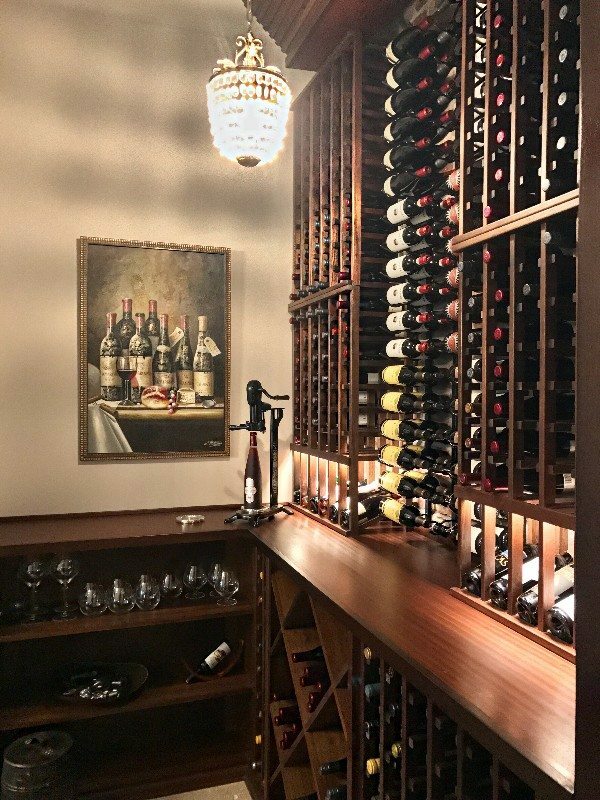 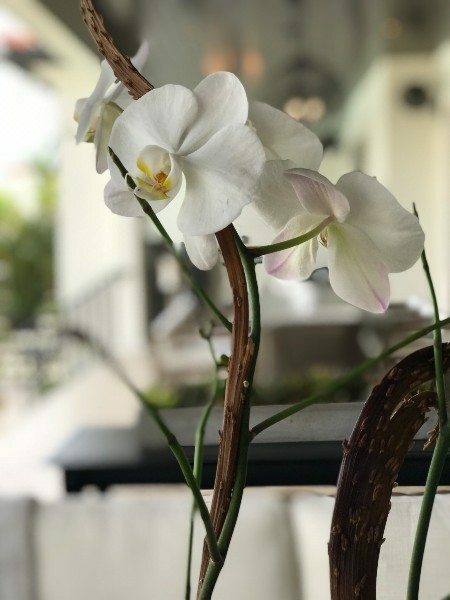 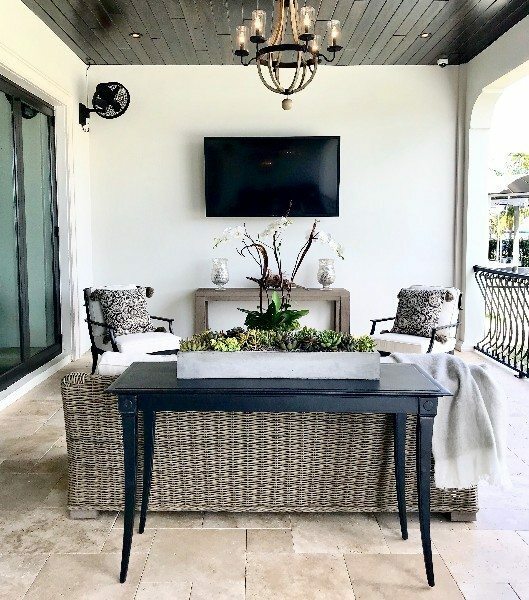 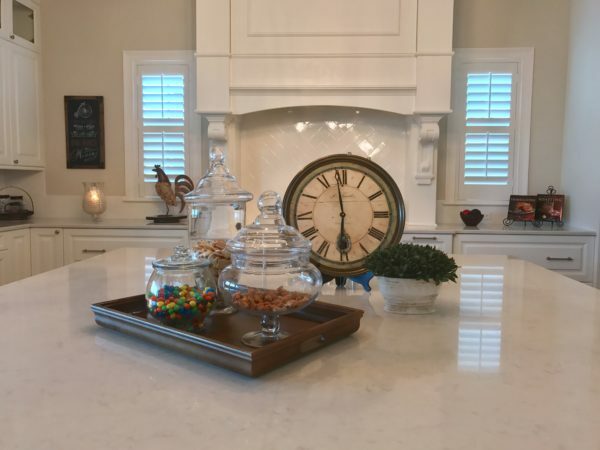 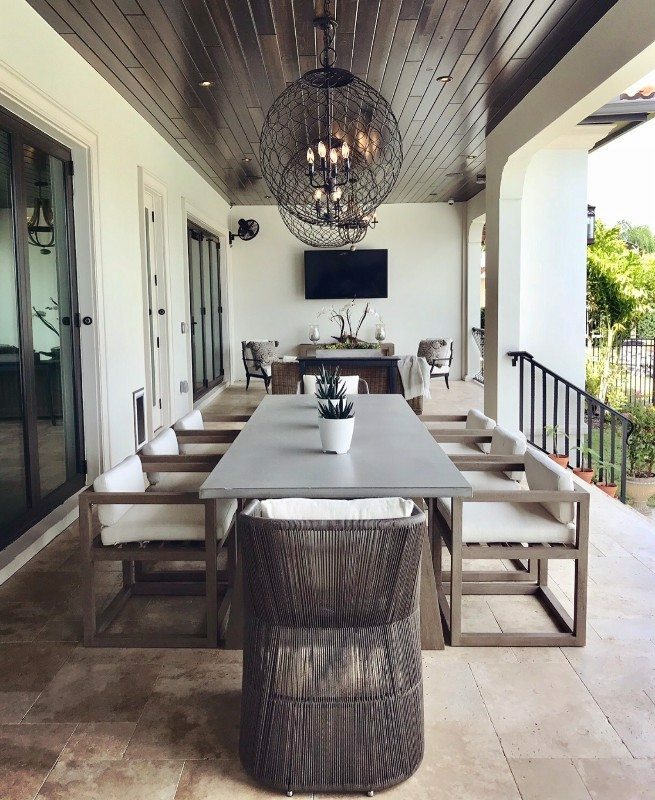 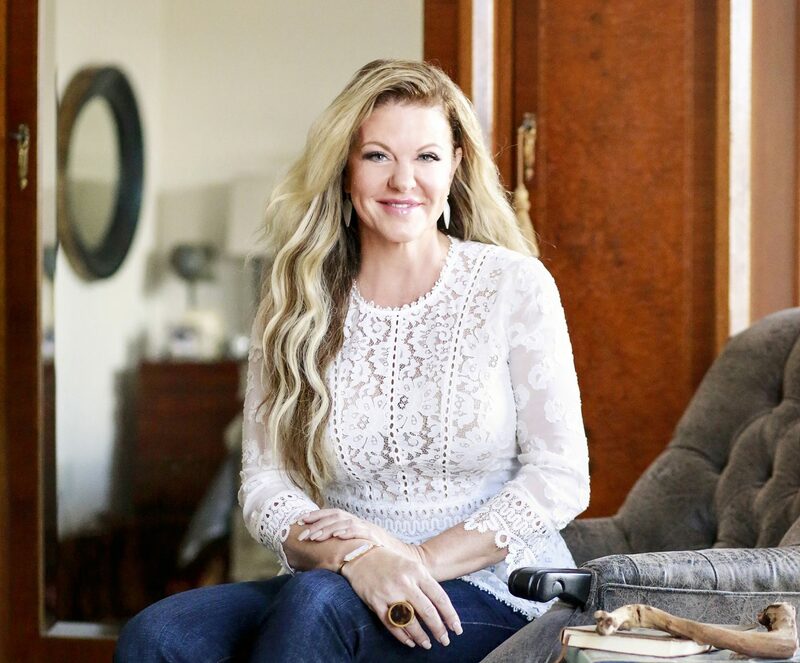 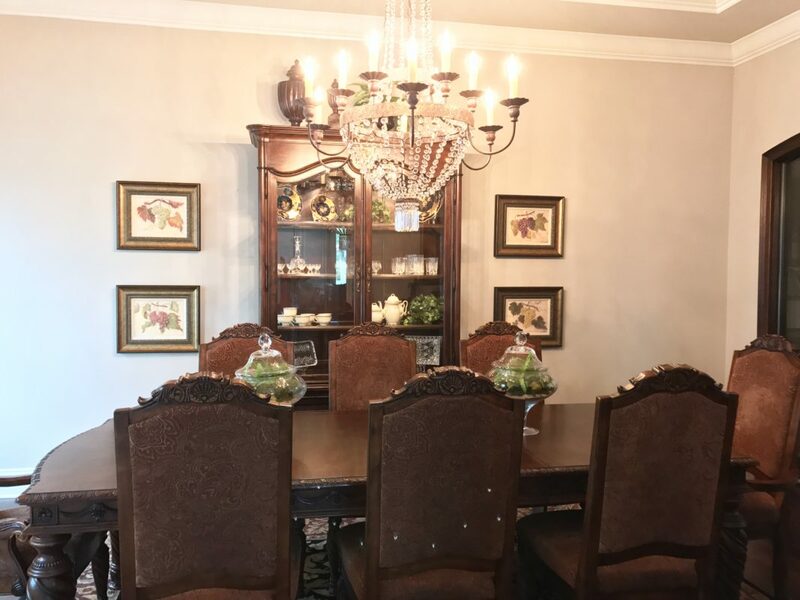 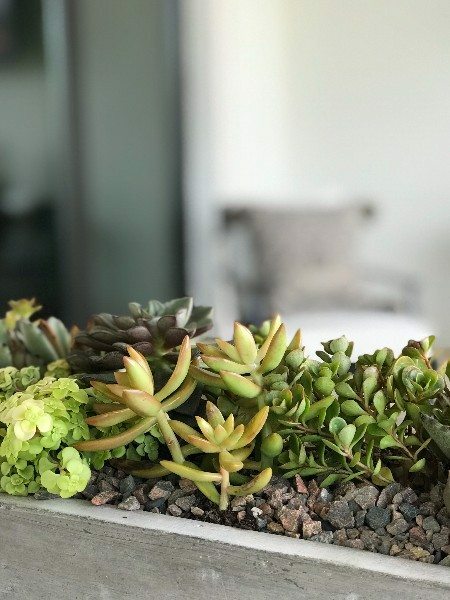 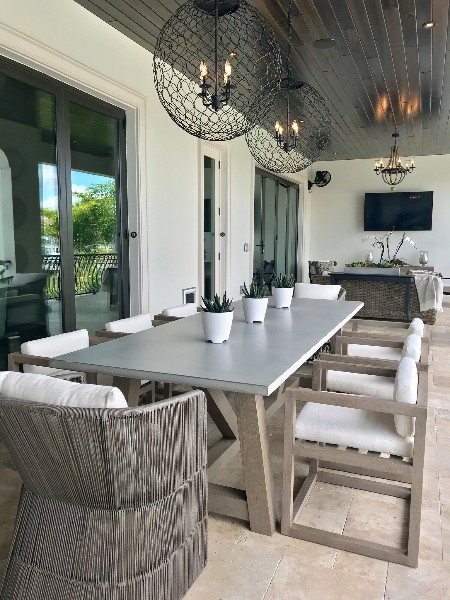 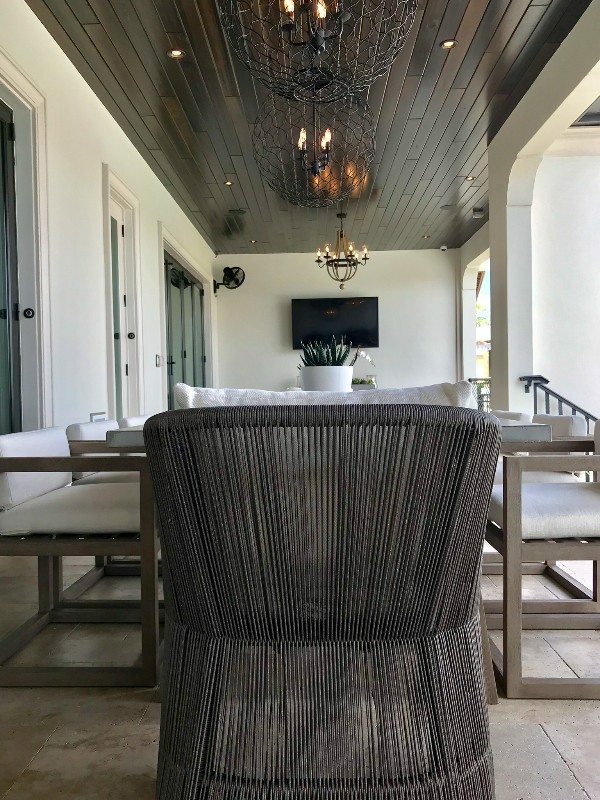 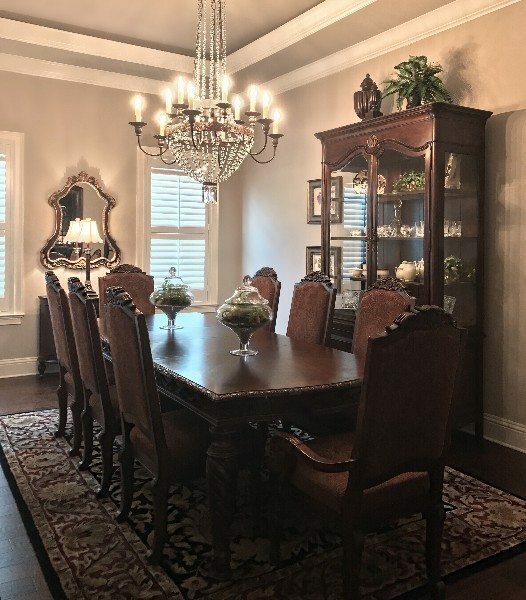 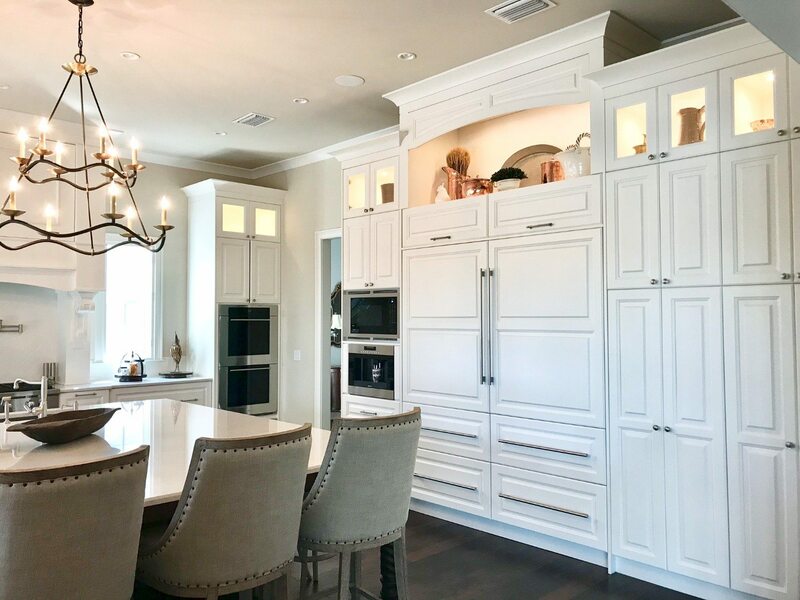 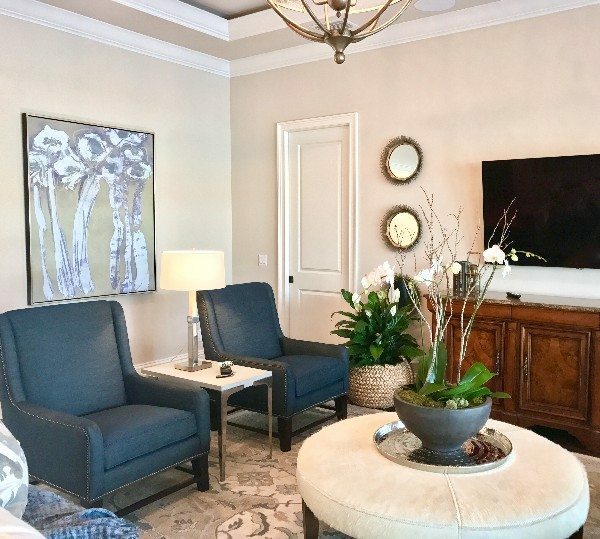 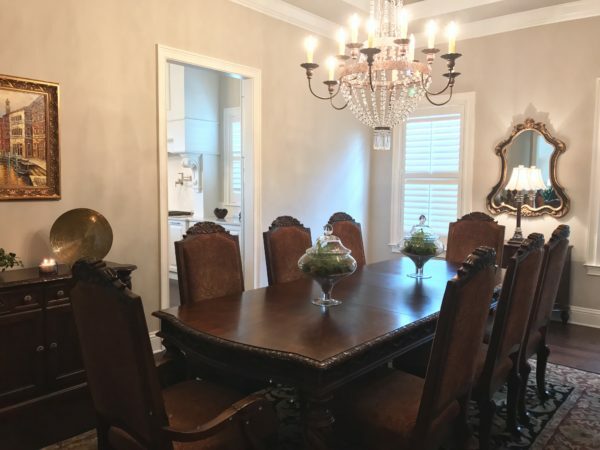 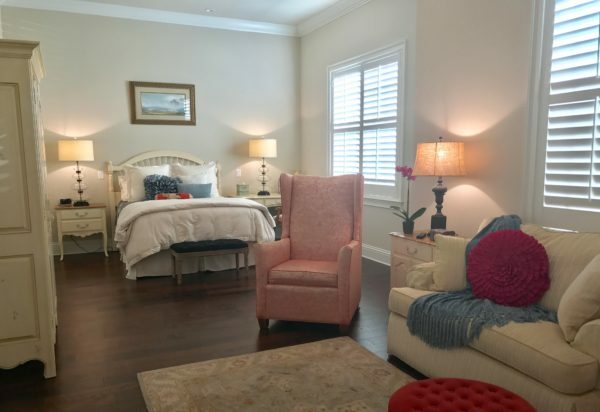 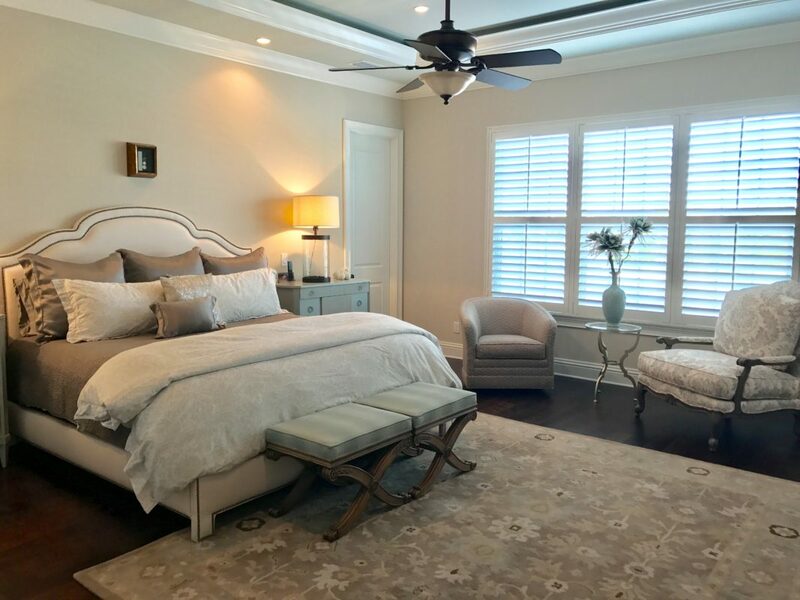 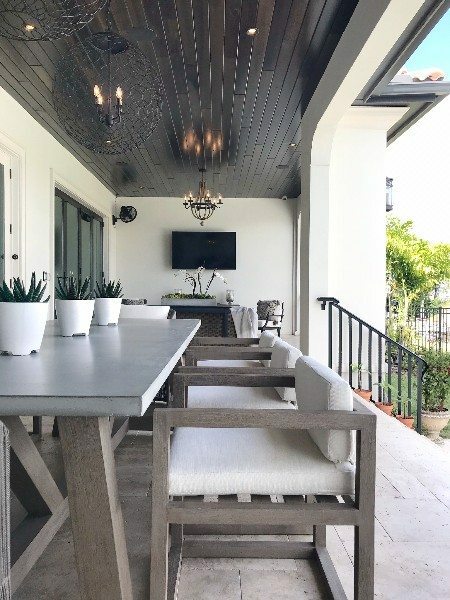 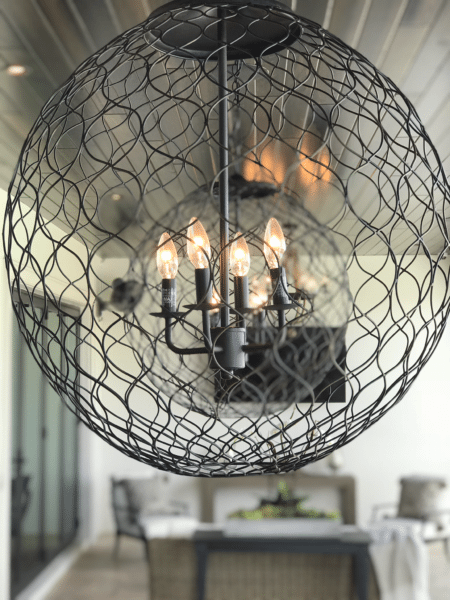 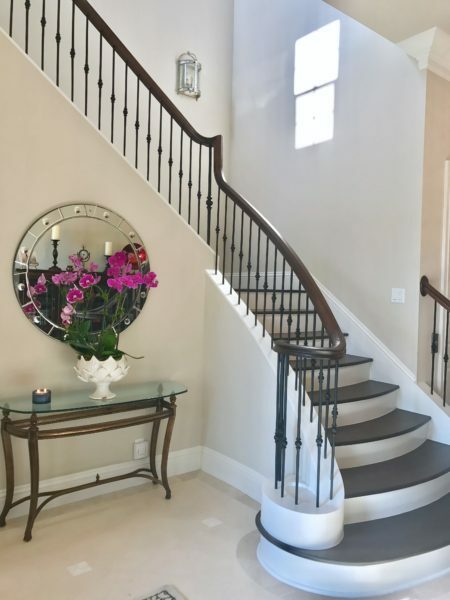 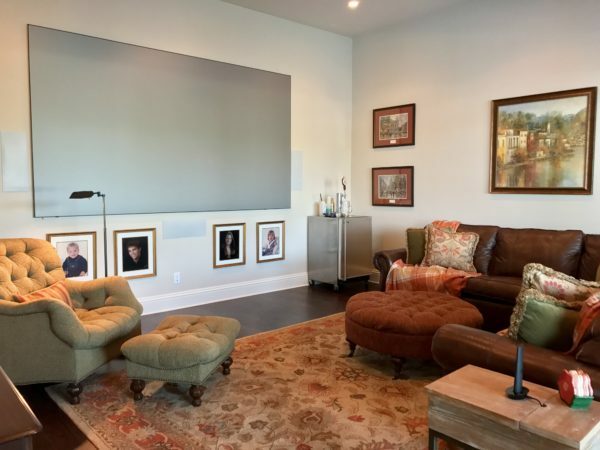 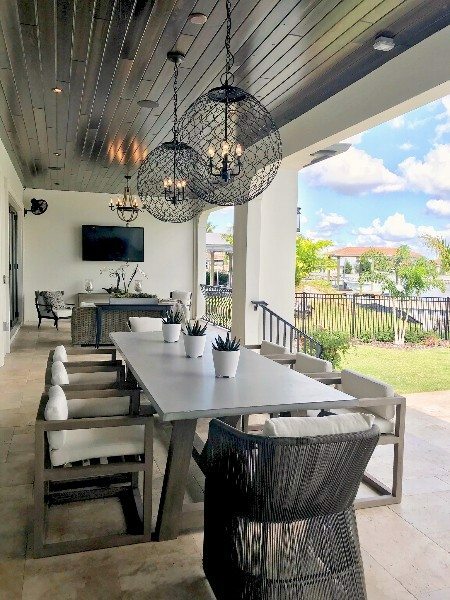 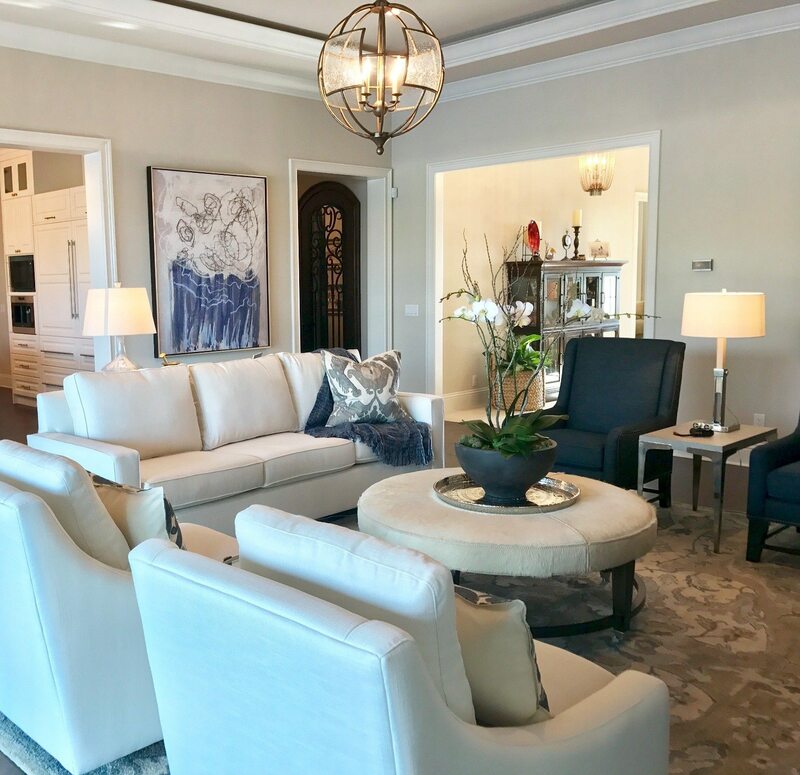 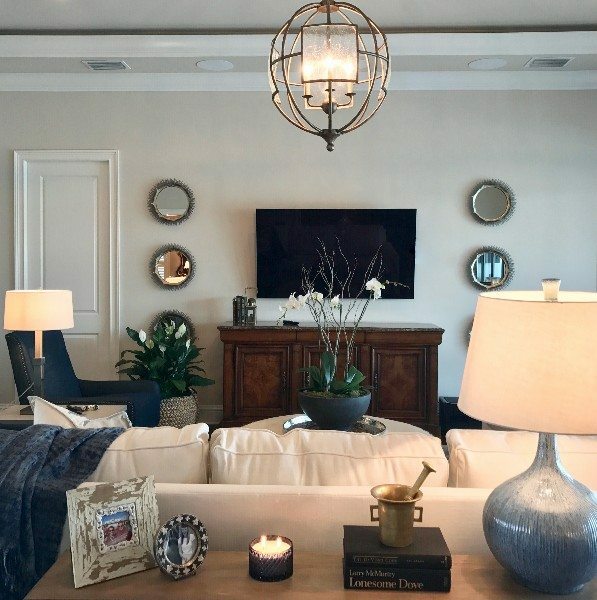 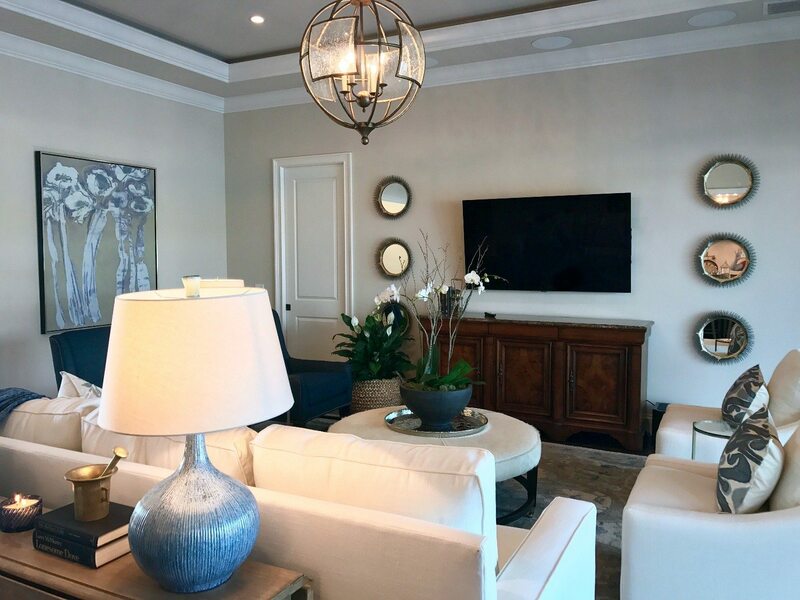 We used their existing furniture and accessories from their previous home for the theater, dining and bedrooms rooms, and started from scratch for the living room and lanai.